In 2019, Debemur Morti Productions will release the second album of Thenighttimeproject, which includes guitarist/vocalist Alexander Backlund, drummer Jonas Sköld and Norrman brothers, former Katatonia members, guitarist Fredrik and bass player Mattias. Above, check out the single "Anti Meridian" from Thenighttimeproject’s upcoming studio record. According to the press release, during 2010-2016, not straying far from his most notable roots, Fredrik 'North' Norrman founded Thenighttimeproject — a pleasantly nostalgic road for those more familiar with his work in Katatonia. 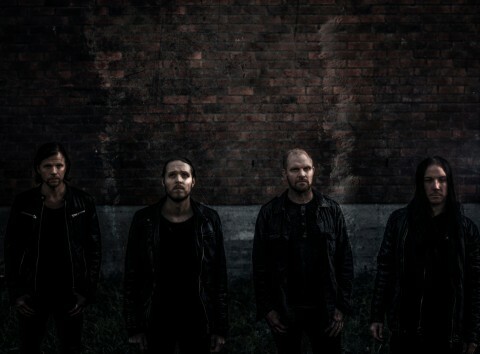 Joined by Tobias Netzell of In Mourning, along with Nicklas Hjertton, formerly of Mandylon, their self-titled debut album is released in January 2016. In 2017, the band released the single "Anti Meridian". Mattias Norrman (October Tide) joins the band on bass. Later this year Tobias and Nicklas decide to leave the band due to lack of time. In 2018, the band was joined by Jonas Sköld (October Tide, Letters From The Colony) on drums and vocalist Alexander Backlund (Letters From The Colony) the band is now working on the follow up to the debut album as well as rehearsing for live shows. Norrman brothers were members of the Swedish group Katatonia for more than 10 years — Fredrik played the guitar from 1996 to 2009, and Mattias played bass from 1999 to 2009. Katatonia’s last album "Night Is the New Day", recorded with the brothers, was released in November 2009. In 2017, Katatonia announced a short-term hiatus.